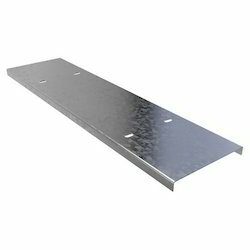 Manufacturer of a wide range of products which include cable tray stand off brackets and cable trays cover. Being a quality oriented organization we are offering a broad range of Cable Tray Stand Off Brackets. These are available with us in varies sizes and specifications. Made using quality approved metal sourced from the reliable sources, the provided product is appreciated for its rugged designs, optimum performance, long life and easy installation.